• Fixed an issue where game would crash in Split Screen when Player 2 disconnects, and Player 1 reconnects on a Guest profile. • Fixed an issue where, after some players finished a race without touching the gas, their XP would be reset to zero. • Updated messaging for Super Easy mode. Note that events run with Super Easy assists will require steering input in order to earn XP and credits at the end of the race. • Fixed an issue where event results quickly disappeared after completing a Drag or Timed Race game type. • Updated the “Split Time” box in a race to orange from blue. • Updated the “Buy Car” and “Rent Car” icons in the game. • Removed lap count information in “Vote For Next Track” screen. • Credit prices for Prize Crates that are unaffordable to the player will now appear as orange in the upper right-hand corner of the screen. • Fixed an issue where players could earn the “Unrivaled” achievement even when using assists. • Fixed an issue where players were participating in the incorrect class in the “GT Racing Reborn” Moments in Motorsport event. • Adjusted lap count of VIR race in the Off Road Buggies series in the Forza Driver’s Cup to be more consistent with other races in series. • Fixed an issue where the incorrect flag was appearing on the Mugello Driver Gear helmet. • Fixed an issue where, when driving with the (P-Class) Hoonicorn, players would race against Drivatar opponents of mixed classes. • Fixed an issue where, when players change car in the Free Play menu, the resulting car would appear with an incorrect livery and/or paint job. • Fixed an issue where team icons on the mini-map were all the same color in Free Play. • Players will now use consumable mods if they quit during the last lap of a Free Play race. • Fixed an issue where players in one car class cannot see the leaderboard entries for their car’s division in the Free Play leaderboards, should other classes exist in the same division. • Fixed an issue where loading a valid tune in pre-race would sometimes result in a message informing the player that the tune was illegal. • Added support for a new platform feature that allows players to convert multiplayer chat to text. Players must have “Speech to Text”, “Text to Speech” or Both options turned on in Xbox Accessibility settings. • Fixed an issue where losing network connection during a race sometimes caused a softlock upon the next connection attempt. • Players now have the option to unmute individual players in a lobby. • Private multiplayer hosts can now cancel launch of lobby during “car theater” screen. • Fixed an issue where Drivatars in the 2017 Renault R.S.17 car would consistently leave the track on Maple Valley. • Corrected Drivatar difficulty on Silverstone National and International circuits. • Adjusted Drivatar difficulty for Timed and Circuit Race game types. • Updated messaging on Auction House to explain that the Auction House takes a small amount of proceeds from completed auctions, which scales based on how much the vehicle was sold for. • Fixed an issue where a player could not see auctions of the same car the player was currently in. • Fixed an issue where Auction details show stock PI/stats for a car listed, instead of current PI/stats. • Search options are now saved within an Auction House session. • Fixed an issue where the 2002 Nissan GTR Skyline V-Spec II rear wing does not always animate with the trunk. • Fixed an issue with connected storage API when checking for available space, improving save space for photos, liveries, and more up to hard save caps. • Added post-race Forzathon rewards screen after completing an entire Forzathon event. • Fixed an issue where toast notification was noticeably delayed after completing a Forzathon-eligible race event. • Fixed an issue where reward voiceover will not play on a consistent basis. 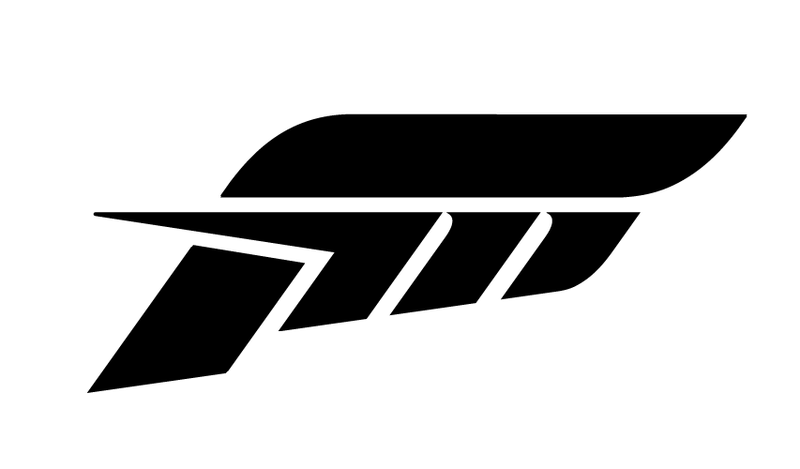 • Added help text for the Forzathon events page. • Players claiming Forzathon rewards in multiplayer will now be set to “Not Ready” in the lobby. • Fixed an issue where the Forzathon menu option from the Pause Menu is grayed out, but accessible everywhere else in the game. • Fixed an issue where player encounters an empty reward screen after completing second challenge of “Speed is Key” event. • Fixed an issue where Tier Level Up screen appears in cases where Forzathon reward is a car and player moves to a new Car Collector Tier. • Fixed an issue with the “Going the Distance” Forzathon event, where some users were not progressing after completing a Sport Touring Division Autocross event. • Fixed an issue with some curbs at Sebring which caused certain cars to react unrealistically. • Fixed an issue at Rio track which was incorrectly dirtying players’ lap times. • Fixed an issue at Rio where players would hit invisible wall at exit of final turn. • Fixed an issue at Lime Rock where vehicles with low chin spoilers could collide with the ground and cause spins). • Corrected an issue where Forza Rewards scores were either not updating or updating incorrectly across numerous legacy Forza games. • Improved “Recommended Vinyl Groups” and “Search” functionality. • Fixed an issue where only the first 10 results would return in the Vinyl search feature. • Fixed an issue where flashing layer highlight was hard to see in certain situations.